One of our favorite activities to report is when an automakers take their most recent creation to the track and let them loose. One of the most famous tracks in the world and the one that every automaker wants to set records at is Nurburgring. This track is located in Germany and has been the location that so many have become a victim rather than a victor while others have been able to cross that finish line and show off a time they can be proud of and share with the world. Recently, Subaru took a car to this track and let it loose. The car that was taken to the Nurburgring Nordschleife track was a new version of the WRX STI. This is a car that has been a part of the rally competitions around the world and has become one of the most highly regarded sedans to make its way around any loop. The new model that Subaru took out on the track that has become known as “Green Hell” is the WRX STI Type RA NBR Special. This car was purely designed to show off what this amazing car can do and bring the attention to Subaru. This race around the track at Nurburgring was meant to be the promotional part of the release of the production version of the WRX STI Type RA. This car had already set lap records at the Isle of Man TT and the Goodwood Festival of Speed to give us a look at a car that can race hard and stick to the track like glue. 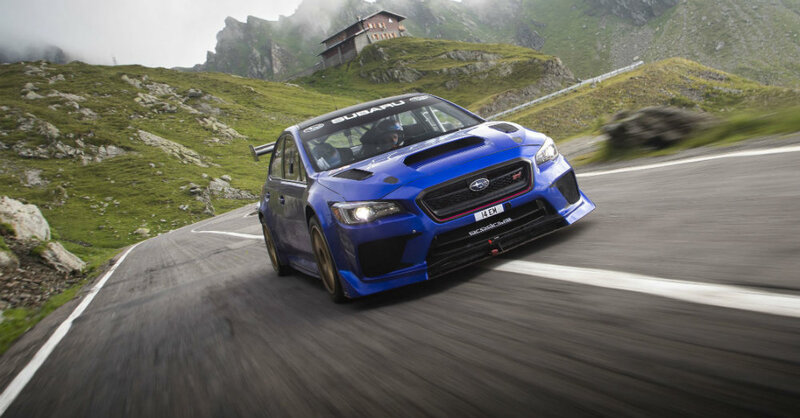 This racing version of the WRX STI is fitted with a full roll cage and uses a modified 2.0-liter Subaru engine that is capable of producing more than 600 horsepower while reaching a speed of as much as 179 mph while on the 12.9-mile track in Germany. This Japanese automaker can celebrate the fact that it was able to race this car around the track and achieve a time of 6:57.5 just last month. Not only is this now the fastest sedan to every lap this track, it’s also one that was able to achieve this record-setting pace during its first attempt at making this run around the track. The driver that made this happen in this amazing car is Richie Stanaway who has been able to help Subaru show off one of the most impressive drives ever. Take a look at the video below and let the racing you see and the amazing time recorded blow you away. This new version of the WRX STI is certainly worth the time and effort it took to make it race around this historic track at the amazing speed and time recorded. You’ll be amazed by how this car can race and if you’re looking for an excellent car to choose when you’re ready to have the drive you want around the rally tracks or just for the fun you want to have, think about this video linked below and let it become the right vehicle for you. Call me old fashioned by I just got into social media recently. Yes, I'm that gal you see at the real coffee shop (aka not Starbucks) with an actual book.